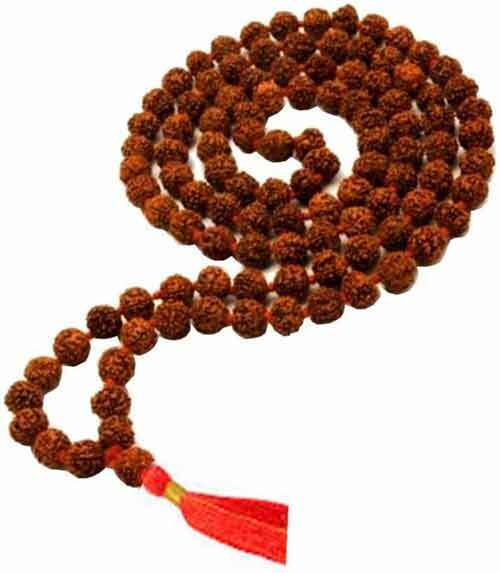 Rudraksha Cleaning Method - How to clean Rudraksha Malas? Rudraksha beads or malas made of original Rudraksh are very strong and have a life of thousands of years. It is usually passed on from one generation to another. Due to such prolong use Rudraksha beads and malas might get dirty or accumulate fungus. Those beads that are regularly worn also might require periodical cleaning. How to clean Rudraksha Malas? To clean the Rudraksha beads, first dip them in warm soapy water overnight. Do not use hard detergents or soap or chemicals. A natural or organic cleaning agent will be the right choice. The ideal choice is a soapy foam made using the natural seed of soap nut tree. After overnight dipping, take the Rudraksha out and scrub thoroughly with a soft toothbrush - extra soft toothbrush. Please note that if there is any discoloration in the Rudraksha then it is a fake. After scrubbing, wash with normal water and allow the Rudraksha to dry. Once thoroughly dried, you can wear it again. If you need to give a better shine, you can apply olive oil or sandalwood oil on the beads with a soft toothbrush. Allow the oil to dry away before wearing.